Download the driver for the Lexmark X1240 printer, here directly from the manufacturer's website. Lexmark X1240 multifunction printers allow us to print, scan and copy with good quality, used inkjet cartridges and have good performance. 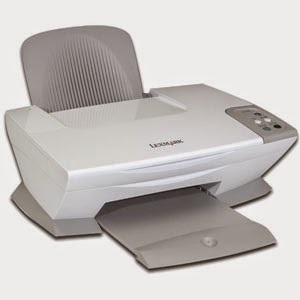 These printers and no longer manufactured but there have to keep them, we can get with these printers consumable more pages than any other modern Lexmark printer. To install a driver that you downloaded from the Internet we know what operating system you use, for each operating system there is a driver to perform the appropriate download is important, we encourage readers to know how to download the drivers from the website of the manufacturer, if not knowing choose from the list below the driver fence with their need. In case we have in our Windows 8 or Windows 7 installed printer we just connect the printer to the computer and this is turned on, the computer will start an automatic installation if you did not start fence database printer and select a printer to install or update drivers if you need help please visit our publication on how to install a printer. Try downloading this driver from a compatible external source for Windows XP, if you need to install it on another system this same controller can decompress and do the installation through the decompression and update from the device manager.